Your resume must be clear. Studies show that regardless of how long you slave over your resume, most employers will spend 10 seconds looking at it. That’s it. It is essential, therefore, that your resume present your experience, accomplishments, and talents quickly, clearly, and in a way that makes your experience relevant to the position in question. So distill, distill, distill. Get rid of lengthy, dense paragraphs. Do away with long-winded descriptions. Toss out extraneous information that could distract potential employers from the experiences that are most relevant to the job at hand. In a word, simplify. Your resume should feature bulleted, indented, focused statements. Short, powerful lines show the reader, at a glance, why they should keep reading. Every word in every line of your resume should be there for a reason. Be brutal. Your resume must be well-written and well-edited. Think of your resume as your first assignment for a new employer. You wouldn’t dream of handing in your first assignment without ensuring that the document is free of typos, spelling mistakes, grammatical errors, and the like. And you would never hand in a document that isn’t written in clear and carefully chosen prose. Your resume, too, should be as close to perfection as you can make it. It should be free of such unsightly blemishes as typos, spelling mistakes, and other errors. And it should be a model of crisp and stylish prose, utilizing powerful action verbs, rather than tired passive verbs, and detailed descriptions of your accomplishments, rather than wishy-washy vague accounts. This isn’t the time for complete sentences, either. Sentence fragments that highlight the duty performed or the responsibility assumed are in order. In other words, “Researched statutes of limitations for civil procedure professor,” rather than, “When I worked for the civil procedure professor, I researched statutes of limitations.” And don’t forget, with the exception of your present job, descriptions of accomplishments and job responsibilities are always written in the past tense. So you drafted memoranda of law and researched case law when you were a summer associate two years ago, but you draft memoranda of law and research federal case law for your current position as a corporate associate. Your resume must look like a million bucks. The mistake is made time and time again. A job candidate has all the right qualifications, all the right degrees, all the right talents and accomplishments. Yet her resume gets tossed in the can because it’s not pleasing to the eye. Maybe it’s unfair that a messy, ugly resume can destroy your chances of landing an interview, even when you’re clearly the right person for the job. But who said looking for a law job is fair? In order to land an interview, you must make sure that your future employer sits down and reads your resume. Make it as easy for them as possible. The layout of your resume should be simple and attractive. 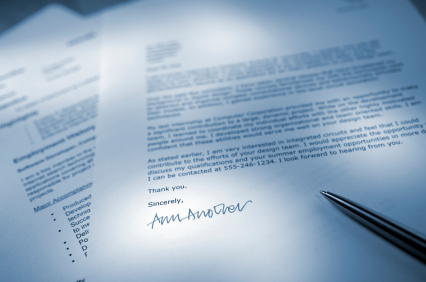 Use bolding, underlining and italics to draw attention to resume headings and job titles. Be consistent! If you bold the first job title you list and italicize the date, make sure that all the job titles are bolded and all the dates are italicized. Don’t be afraid of white spaces. Many resumes are so packed with words that the eye has a hard time focusing on anything. Those resumes get tossed. To make sure that your resume is easy on the eye, give the words some room to breathe. Skip two lines between sections. Make the margins nice and wide. You get the idea. If you’re emailing or uploading your resume, spend some time with a test copy of your resume and consider using PDF if possible to make sure your formatting looks the same to the reader as it does to you. And please, please, please limit your resume to just one page. The only lawyers allowed to break this golden rule of resumes are very senior attorneys with decades of experience behind them. That’s (probably) not you. Not yet. 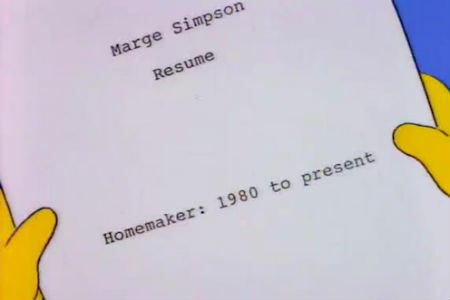 The above was adapted from the Vault Guide to Law Resumes. Does Your Resume Lack Passion?